It’s flu season, and germs are everywhere. They’re on your keyboard, door handles, your desk, and just about everywhere else — including your toothbrush. You might think that since it is your toothbrush’s job to sweep bacteria out of your mouth, you don’t need to worry about replacing it after you’ve been ill. However, there are a number of reasons to toss your toothbrush and schedule a professional dental cleaning in Creve Coeur after you recover from a cold or flu. When your body fights a virus, it creates antibodies. Those antibodies make it almost impossible for you to re-catch that exact illness once you’ve recovered from it. Therefore, using a toothbrush with that virus on it won’t prolong your sickness or re-infect you. However, there are hundreds of strains of cold and flu viruses that you’re still vulnerable to. If any of them are on your toothbrush, you could easily find yourself feeling under the weather again. The viruses on your toothbrush might accidentally get transferred to other family members’ toothbrushes. The last thing you want is for your child or spouse to end up sick because their toothbrush was stored right next to yours. It may be time to replace your toothbrush anyway. If the bristles or frayed, or you have been using the same brush for more than three or four months, you’re due for a new one. When you’re ill, you might not have the energy to thoroughly brush your teeth. A professional cleaning can vanquish any linger spots of plaque that formed while you were sick. Many cold and flu medicines are full of sugar. Kids’ medicines are especially guilty of being loaded down with the sweet stuff. If your little one was recently sick, a visit to your dentist in Creve Coeur might be just what they need to protect their oral health. Your dentist or oral hygienist can give you tips to help you prepare for your next cold or flu. For example, they may recommend sugar-free medicines and give tips to help you keep a clean mouth even when you’re feeling down. Since you should buy a new toothbrush anyway, you can ask for suggestions on which product will do the best job of cleaning your teeth. Hopefully, you won’t get sick this cold and flu season. If you do, however, use the above tips to protect your smile’s well-being and your family’s overall wellness. Drs. James and Jenna Feigenbaum are a father-daughter team of dentists who are native to the Creve Coeur area. Dr. James has over 30 years of experience in general dentistry, and Dr. Jenna has undergone additional training in pediatric dentistry and other areas. 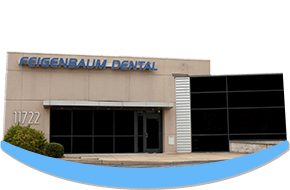 To learn more about our practice or to schedule an appointment, contact us at 314-567-1777.